It goes without saying that your legal entitlements are the last thing you are thinking about after getting seriously injured in some type of accident. No matter how serious your injuries are, we understand how difficult this can be to deal with. Consequently, BLPC Law specializes in assisting people who have a valid personal injury claim. After the accident, your first concern is seeking appropriate medical care and ensuring the best recovery possible. As the personal injury lawyer in Kingston works with a team equipped to handle the legal process, and deal with any and all insurance issues that are related to your accident. BLPC Law wants you to focus on your recovery while we do all the legal work to ensure that you receive the compensation you deserve. Our personal injury lawyers in Kingston is an expert; committed to protecting your rights, while providing you, the client, with the superior service you deserve. We will come to you if you are unable to come into our office, no matter where you are located in the Kingston area; whether you are at home or in the hospital. If needed, we will assist you in finding a rehabilitation program that is tailored to your specific needs. And, we will even coordinate everything with your healthcare provider and/or physician. Since 1997, BLPC Law has dedicated its practice to individuals who have been injured in a wide range of accidents. We are committed to total client satisfaction. As a result, our reputation as one of the premier personal injury legal firms, in the Ontario Province, has been well earned. Our goal is to ease your stress and provide you with peace of mind, so that you can focus on the most important aspect – your recovery. At the same time, we will do our best to ease the complexities and intricacies of the legal process. You won’t have to worry about this during the recovery period. An expert personal injury lawyer in Kingston knows that Kingston gets its fair share of bad winter weather. An inclement climate can cause some extremely hazardous road conditions. These bad road conditions oftentimes lead to vehicular accidents, some of which are extremely serious. As a result, some injuries are oftentimes life-altering in nature, and families have been financially devastated. Our responsibility to you is to ensure that this doesn’t happen, and that you receive fair restitution for your injuries. The Lawyers at BLPC Law are highly experienced in, and knowledgeable of, personal injury law. They will take every step possible to advance your claim and negotiate an equitable settlement for your injuries. Whether we settle your case in the courtroom or at the negotiating table, we will work tirelessly to get you the maximum compensation you deserve for your injuries. Your life does not need to be any more complicated than what it is during these trying times; so we try to alleviate your stress wherever we can. We know that at times, injuries can render you disabled, or take years of treatment and rehab to get back to normal. But, we will ensure that you are at least not burdened with debt, by helping you win the compensation and justice you deserve. 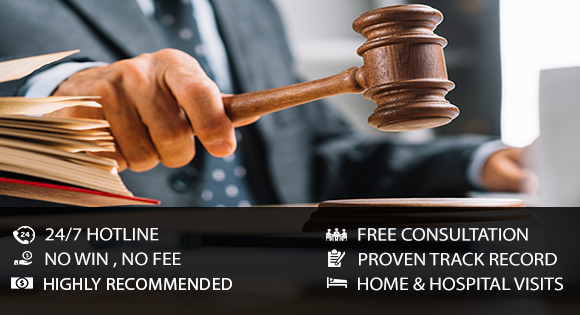 To ensure that you don’t have to fret about legal expenses, we work on a contingency basis, which means that we will only charge you when we win your case. Doesn’t that sound good? We care about our clients and ensure that your well-being is our priority. Any average personal injury lawyer can negotiate a settlement with the insurance companies and their Lawyers. However, you may not get the restitution that you deserve, if you let an average Lawyer handle your case. Our team of personal injury lawyers, in Kingston, will fight for the maximum compensation for your injuries. We help you restore the quality of life you were enjoying prior to your accident. If you or a loved one was recently injured in an accident, and are seeking restitution for damages, contact BLPC Law today.